Gunning the Texas Coast Since 1993! Set Up Your Cast & Blast, Check Season Dates Here! Welcome to the home of the best Texas duck and goose hunting guides on the Texas coast. We rely heavily on airboats, duck boats, and shallow running bayboats to access remote areas where the duck hunting is best. 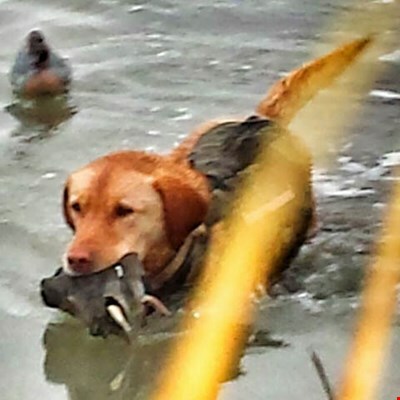 Texas Duck Hunting is unique and Coastal Waterfowl has become the destination for the discriminating duck and goose hunting enthusiast seeking world class "old school" waterfowl hunting. If Texas Geese are what you are after, we’ve got thousands of acres on the coastal prairies wintering Snow, Blue, Ross, Specklebelly, and Canadian geese. Castaway Lodge is "the home" of Coastal Waterfowl. When it's over here in the US, follow us for some hot Mexico Duck Hunting! 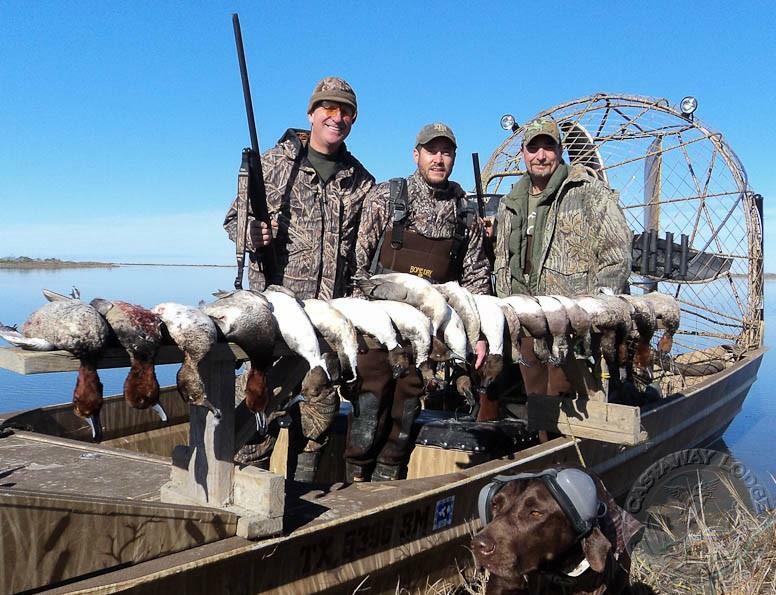 "Old School" means "in keeping with the best traditions of waterfowl hunting and Texas duck hunting". It means our philosophy centers around a personalized experience; low density blinds and un-cramped conditions; working birds with the calling and artistry of our professional guides; close-in shooting; professional retriever work; and, ethical, law abiding hunting. The term embodies the "heart of a waterfowler" and the drive to do the work it takes to get it right! 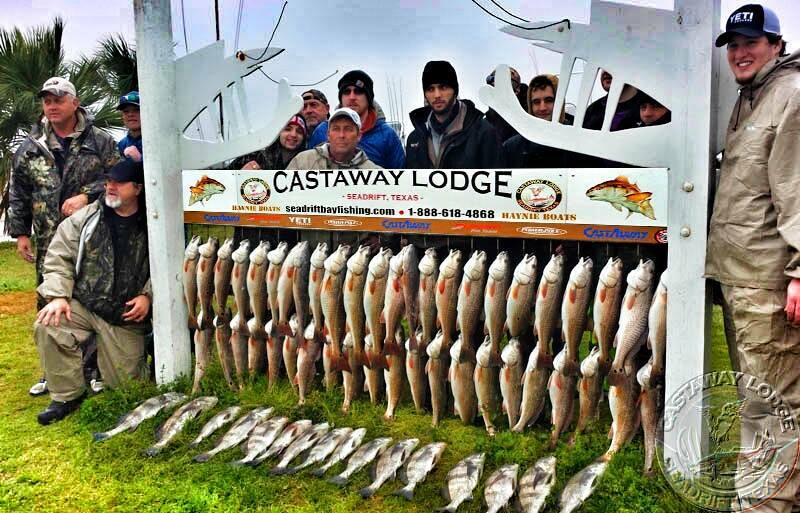 Team Coastal and the crew at Castaway Lodge offer a full range of fishing guide services. We welcome anglers of any skill level to Seadrift fishing here on the middle coast. Located in the Seadrift and Port O'Connor, area, Redfish and a big fight go hand in hand along with the best Trout fishing. 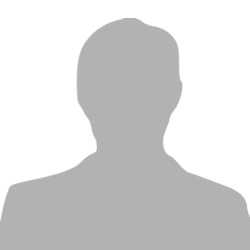 What Our Guests Are Saying. . . .
Kris we will see you next year. Why not let them take care of everything and they love doing it believe me it really shows. Thanks James for more great memories with my dad. Trent and I had a blast on the GATOR hunt. An 11' 400 lb gator is nothing to sniff at and I know we'll be happy with the mount and skin. You run a first rate outfit. I enjoyed the fellowship and the fine chow. Welcome to Castaway Lodge, your home away from home. Centrally located in the "heart of Seadrift", Texas, The Lodge offers affordable convenience and the best the mid-coast has to offer set in a "coastal casual" atmosphere. From the comfort of our accommodations to Wendi's Roadhouse Cuisine to the command of the outdoors by our guides, we offer affordable convenience and a great experience for family groups, special occasions, team building, customer appreciation, corporate outings and conferences. The original footprint was built on a half acre in 2007. Thanks to the tremendous support of our guests, in the Fall of 2015, we added over 11,000 square feet of accommodations, indoor dining/conference and operations facilities. We've acquired 3 additional acres and 700' of bayou-front leg stretching room, greenbelts, and parking. Come experience coastal hospitality and the NEW Castaway Lodge On The Bayou!